Is Europe The New Palestine? 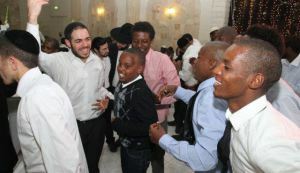 Despite its defined purpose of building “understanding of international issues”, the BBC has to date done little to inform its audiences on the topic of the approach to Israel prevalent among the Middle East’s rising force of Islamist Jihadists. 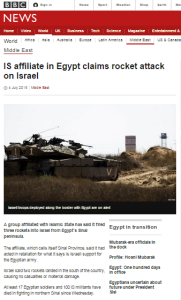 Hence, one feature of an article which appeared on the BBC News website’s Middle East page on July 4th under the headline “IS affiliate in Egypt claims rocket attack on Israel” is particularly notable. “A group affiliated with Islamic State has said it fired three rockets into Israel from Egypt’s Sinai peninsula. The affiliate, which calls itself Sinai Province, said it had acted in retaliation for what it says is Israeli support for the Egyptian army.